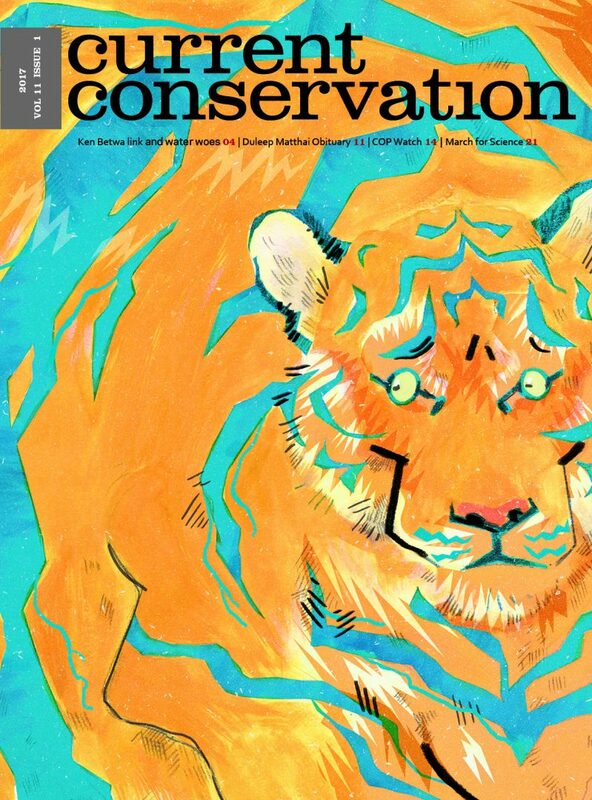 ‘Power lines’ is the underlying theme of this issue of Current Conservation. There might be a direct reference to these words only in one article, but the message runs across several other contributions. The discussion of Palacin et al’s 2016 paper narrates how birds struggle to navigate electricity lines disrupting their migratory routes. These tensions of the Great Bustard in Spain are not too far behind from what is happening in a prime tiger habitat in India. The country’s first experimental river interlinking project is out to fragment and submerge parts of Panna Tiger Reserve, says Joanna Van Gruisen’s in-depth understanding of the Ken-Betwa project. the book Cheats and Deceits by Martin Stevens. It’s not humans, but wildlife here that are using an “array of techniques… to further their own agendas.” Finally, we carry an obituary of the environmentalist Duleep Mathai, whose foundation (DMNCT) has supported CC since its inception.